Pendant Measures 28mm (1 1/8") long and 19mm (3/4") wide without bale. Approximate gram weight is 2.07 grams. Add a 0.9mm 14k solid gold box chain in 18" or 20" to match (optional). 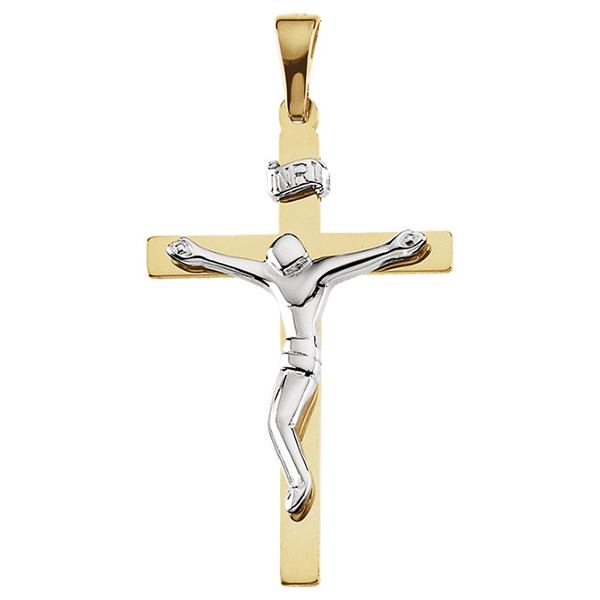 We guarantee our Modern Design Crucifix Pendant in 14K Two-tone Gold to be high quality, authentic jewelry, as described above.